I have been meaning to post this for a while but its been a very busy couple of months. 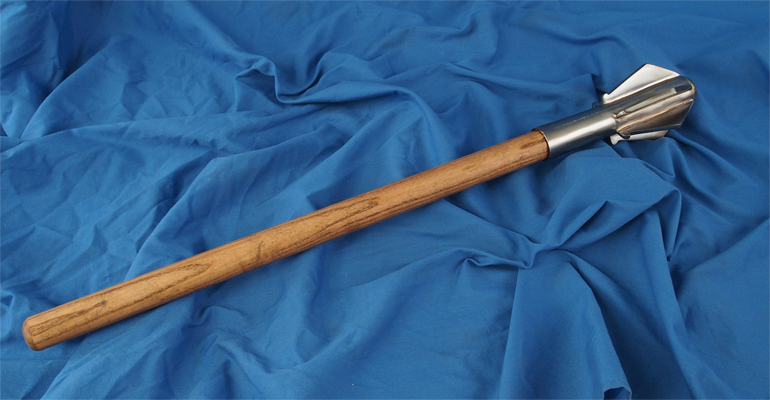 A 13th Century style mace mounted on an ash haft on our Muster Page.. This was made at the same time we where doing another commission for a similar piece. We will sometimes do this to have a test bed for certain procedures. Both items went together nicely so we have a piece with the keyed and brazed fins that are seen on iron maces of this period available on the Muster Page.